Our large hall at the back of the church is the perfect place for gatherings and events. And it’s not just the church that thinks so! We support local community groups, and the hall is used by various groups throughout the week. 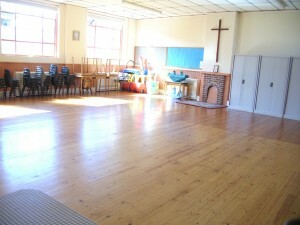 We are happy to hire out the hall, and bookings can be made by phoning 0790 006 6471. Please note, alcohol is not allowed on any part of the premises. Please find below the Terms and conditions for Eynsham Baptist Church Hall.